March 8th is International Women’s Day, a day when women are honored and their accomplishments celebrated worldwide. From medicine to law, entrepreneurship to corporate leadership, education to the military, women are achieving great strides in areas of business like never before. In addition to professional achievements, International Women’s Day is a time for women to focus inwards on their personal goals, relationships, and health. From the adolescent years to pregnancy, childbirth, and menopause, women’s bodies go through some major changes that can affect many areas of their health, especially their vision. They say that ‘age is just a number’, but when it comes to women’s health, it’s essential to pay close attention to any signs of changing vision as we get older. Women over 40 have a higher risk of developing eye disease, impaired vision, and blindness than men. They are more likely to develop eye conditions such as Cataracts, Diabetic Retinopathy, and Dry Eye Syndrome. In fact, 61% of Glaucoma patients and 65% of Age-Related Macular Degeneration patients are female, so it’s crucial that women know the risk factors and signs of developing these conditions. Women are typically the family caretakers, running a spouse, children, or elderly parents to the doctor, putting their own healthcare needs last. It’s time to put your eye care needs first. Don’t ignore symptoms or push them off for another day. Take care of yourself, and you’ll be able to continue being there for others. Knowing what to look out for is a crucial step in keeping your eyes healthy and enjoying great vision. Genetics often play a key role in many health issues. 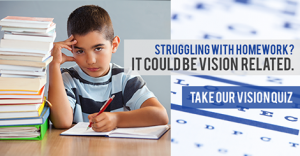 Just like people inherit eye color and shape, hair color and texture, and facial features from parents, vision difficulties or diseases can also be hereditary. If something runs in the family, you may be more susceptible to developing it and passing it on to your children, as well. Pregnancy can temporarily affect a woman’s vision. This is due to the hormonal changes in the body, which typically stabilize after breastfeeding has stopped. A pregnant woman with diabetes must be closely monitored, since diabetic retinopathy (swelling or leaking of blood vessels in the retina) can progress more quickly during the pregnancy. Climate and environment are also important factors when it comes to eye health. Extremely cold or hot climates can cause dry eye symptoms. A healthy amount of sun exposure is good for the skin, but an excessive amount can harm your eyes and even lead to vision loss. Smoking dehydrates the skin and can lead to eye bags and dark circles, not to mention a whole slew of serious eye diseases like cataracts, macular degeneration, glaucoma, and diabetic eye disease. If you or a loved one experiences any of these symptoms, or if you feel like something just isn’t right with your eyes, speak with your eye doctor right away. Mention any other conditions or medications you may be taking, including birth control pills (a known contributor to Dry Eye Syndrome), and even natural supplements or vitamins. Other factors such as an irregular menstrual cycle, fertility treatments, or cosmetic procedures may impact your vision in ways you may be unaware of, so disclosing this to your doctor is important. What Can You Do to Improve Your Eye Health? There are some preventative measures that women can take to ensure their eye health and overall vision are at their best. Keep that body hydrated! Mothers always say it, doctors remind us too, and they’re right. Drinking 8 glasses of water daily is great for your skin and can prevent dry eye symptoms from forming. Quit smoking. Not only is it bad for your lungs, but it can cause eye problems, like dryness, itchiness, and swelling, as well as more serious eye diseases associated with vision loss. Love the outdoors? Wear UV-blocking sunglasses when you’re at the beach or even hanging out in your backyard, to protect against harmful sun rays. Polarized lenses are a great way to shield your eyes from strong glare. Eat healthy. A balanced diet including a variety of vitamin-rich fruits and vegetables may help protect you from several eye conditions including dry eyes, macular degeneration, and even diabetic retinopathy. Try to get more shut-eye. A healthy amount of sleep ensures your eyes are rested and clear the next day. On this International Women’s Day, let’s work together to keep the women in our lives healthy for many years to come.